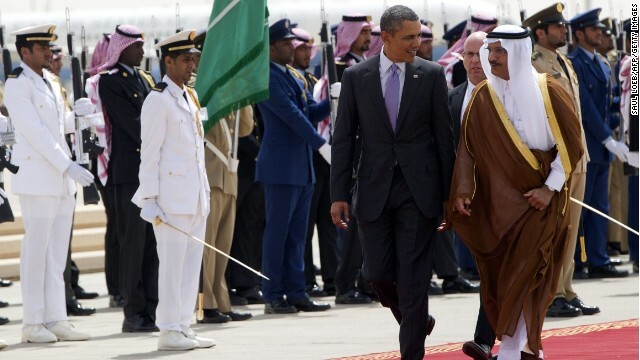 President Obama’s poll numbers are up in the Arab and Muslim world after years of decline. It started off well for the President, five years ago in June 2009, President Obama delivered a speech at Cairo University in Egypt, signaling that his presidency will bring a “new beginning” to U.S. relations with the Arab and Muslim world. This came at a time when public opinion and approval of the United States in the Arab world had fallen to dramatic lows during the George W. Bush era after the September 11th attacks and the wars in Iraq and Afghanistan. The tone of President Obama’s Cairo speech proved to be encouraging and was reflected in polling done by leading polling firm that specializes in public opinion polling across the Arab world Zogby Research Services. Many in the Arab and Muslim world hoped that Obama’s time in office would forge positive relationships and bring an end to the wars in Iraq and Afghanistan, as well as a renewed focus on peace talks between the Israelis and Palestinians. However, President Obama’s global approval ratings dramatically decreased and by 2011 fell to new lows in the Arab and Muslim world as people realized that he was unable to deliver on some of his promises. After the President’s most recent foreign policy speech at West Point on May 29th, some argued that the Obama White House has been ineffective, while others defended the president and stated that Congress is to blame for standing in his way. With the President facing low approval ratings at home, the most recent Zogby Research Services and Zogby Analytics poll found that President Obama’s approval ratings in the Arab world have increased and are back to 2009 highs. Polling took place in Palestine, Morocco, Egypt, Jordan, Lebanon, Saudi Arabia and the United Arab Emirates. The results reveal that most Arabs support President Obama’s position on Syria. Majorities in all countries polled favor political negotiations and U.S. support of Syrian refugees, though most are strongly against any U.S. military intervention, including supplying weapons to the Syrian Opposition Coalition. Similarly, there is a strong support for U.S. negotiations with Iran. However, large numbers don’t see the negotiations being successful. According to Managing Director of Zogby Research Services and President of the Arab American Institute James Zogby, approval of Obama’s handling of Syria and Iran is indicative of a war weary Arab and Muslim world. “The consequences of the eight years of the Bush administration and the havoc that it wreaked are consequences that will remain with Arabs and Muslims for a long time,” said Zogby. While the approval of the Obama White House’s handling of issues related to the Arab and Muslim world is up, numbers still remain below 50 percent. Zogby said the reason for this is many Arabs see a difference between Barack Obama the man and Barack Obama the president. President Obama’s visit to the West Bank in May 2013, language about a Palestinian state and his agreement on a two-state solution were encouraging to Arabs and Muslims. But encouragement is where it ends. And when it comes to other issues, the trend persists. The highest disapproval rating was in Lebanon, with 44 percent answering “not effective at all.” And the highest approval ratings were in Saudi Arabia and the United Arab Emirates, which have had close relationships with the United States in recent history.